the ‘dark weight of his heavy cloak’? 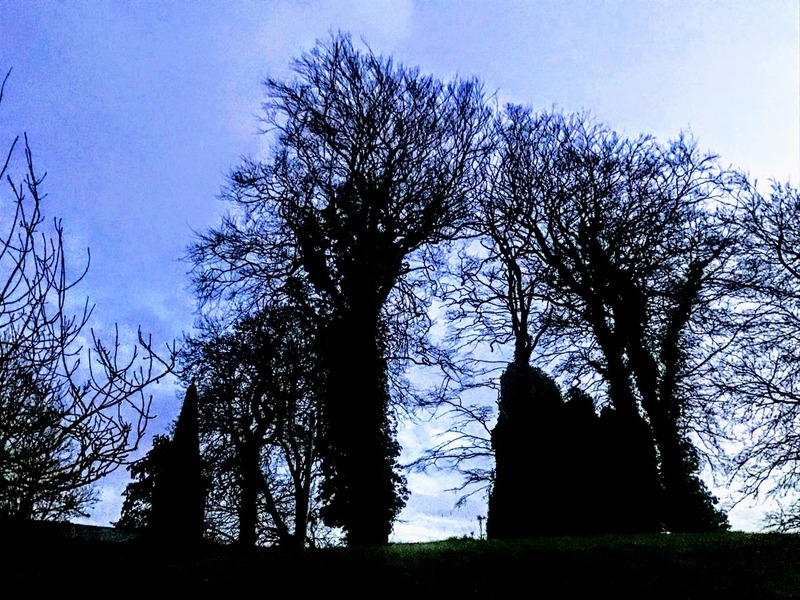 After visiting the Éamon de Valera Cottage outside Bruree late on Saturday afternoon, darkness had enveloped the Co Limerick countryside as I returned through the village of Bruree. churning up the wet sunlight. votes. Their great child had been dead for years. the whole village and kept them from serious thought. ing from a bullet wound. with our heels and cursed the narrowness of the path. We found now that Bruree was darker, there were few cars, no children on the street, and no adults to be seen gossiping lightly. 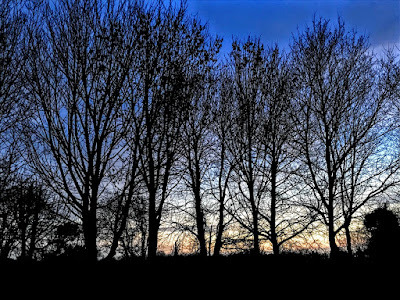 But it was a dark winter evening, and I can imagine Bruree today is little different from the Cappoquin that the poet and I knew growing up at the same time in West Waterford rather than east Limerick. Two of us stopped at the bridge to admire the reflections of the last, remaining Christmas lights of Bruree on the River Maigue as it flows on towards Adare and the Shannon Estuary, and looked up at the shadowy profiles of the tower house and the former Church of Ireland parish church on a ridge above the bridge and the river bank. 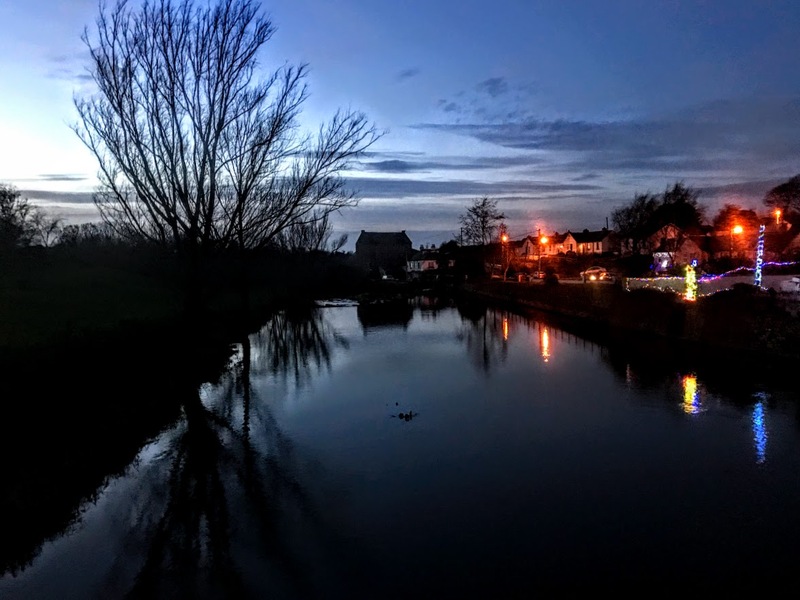 Bruree takes its name from an ancient royal fortress once built here and in the High Middle Ages it was known as Dún Eochair Maigue or the Fortress on the Bank of the Maigue. Brúgh Rí literally means the Fort of the King. As if the associations with Éamon de Valera did not provide enough sense of pride and history, local lore and legends claim Bruree was once a seat and alternative capital of the ancient Kings of Munster, and that this place once was a royal capital until the late 12th century. After the Anglo-Normans arrived, Samuel Lewis claims, that the Knights Templars built the castle in the 12th century, but there is no other record to support his claim. The area later belonged to the de Lacey family, who built the tower house in the 15th century. This tower house was seized during the Cromwellian confiscations of the 1650s and fell into disrepair. Beside the tower house, the Church of Ireland parish church, Saint Munchin’s Church, Ballynoe, was built in 1812, with funding from the Board of First Fruits. The church cost £800 to build and stands on the site of an older church, surrounding by an old churchyard. This three-bay, single-storey church has a nave and a square-plan, stepped, three-stage crenellated tower at the west end, with an octagonal limestone spire. The details include the ball finial on the tower, ogee-headed and trefoil openings and the limestone copings. Éamon de Valera in Bruree? 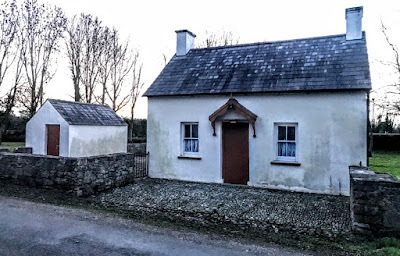 On the way back from Charleville in north Co Cork to Askeaton on Saturday afternoon, two of us decided to stop at Bruree and visit de Valera’s Cottage in Bruree, Co Limerick, the childhood home of Éamon de Valera (1882-1975), the rebel leader in 1916 who went on to became Taoiseach and President of Ireland. My memories of de Valera stretch back to a childhood near Capproquin, Co Waterford, when ‘Dev’ spoke out against the Fethard-on-Sea boycott – which was spoken of in hushed tones in every household in the south-east in the 1950s – and to schooldays when one of his grandsons sat in a desk in front of mine in the study hall in my boarding school. Little did I realise then that I would spend many late nights as a young journalist staying up late and working into the early morning on late shifts in The Irish Times, waiting for the former president to die. 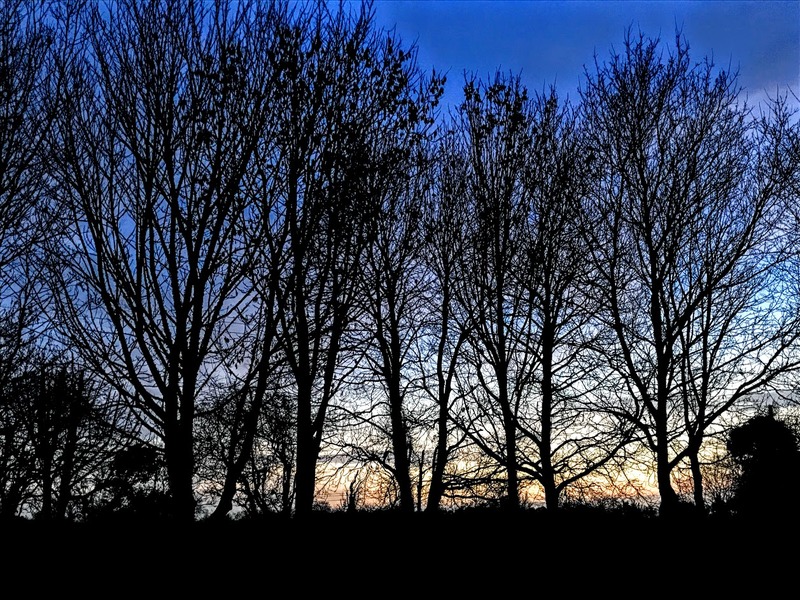 I still remember how boring it was, waiting, watching, and going home as the summer dawn broke. Éamon de Valera died on 29 August 1975, aged 92, at the Linden nursing home in Dublin. It was just before noon and one of my day’s off, which seemed to frustrate the reason behind working all those late nights and early morning shifts that marked out that first summer in Dublin after joining The Irish Times from the Wexford People a few months earlier. The obituary supplement that I had been involved in preparing went to press without my presence. A year later, though, that supplement was published as a book edited by Peter Tynan O’Mahony, and my small meagre contribution was included – a pen and ink sketch and short description of de Valera’s coat-of-arms, which celebrated his assumed Spanish ancestry and heritage. The book was launched in Kilmainham Jail, and at the age of 24 I found unexpectedly that for the first time I had contributed to a published book. As dusk was beginning to turn to darkness late last Saturday afternoon [5 January 2019], we eventually found the de Valera Cottage, 1 km north of Bruree. For such a large giant on the landscape of Irish history, this is a very humble homestead. 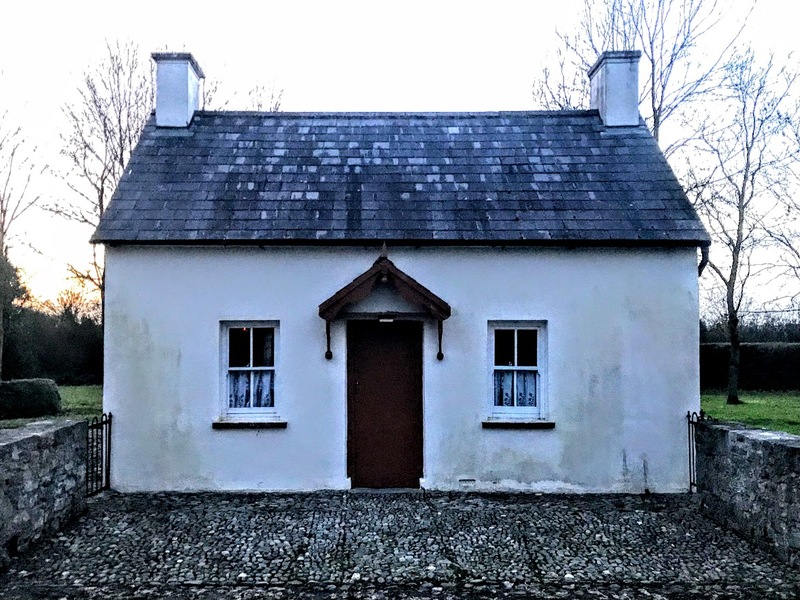 The house is a labourer’s cottage, built in 1885 by Kilmallock Poor Law Union, and it still tells of the humble origins of a family could never have realised the greatness that was going to be thrust on them in the century that followed. The small house is a detached three-bay single-storey labourer's cottage, built around 1885, with a pitched slate roof, rendered chimneystacks and rendered walls. The sash windows and timber battened half-door help to conserve the original character of the cottage. It retains its original form and structure and is now a rare example of houses like this. But Éamon de Valera was not born here. Rather, he was born in New York City on 14 October 1882, and while he was later known as Edward, then as Eddie, and finally as Éamon de Valera, he was first known as George and was registered at birth as George de Valero. The child was brought to Ireland by his uncle Ned in 1885, following the death of his father, named as Juan Vivion de Valera, while his mother, Catherine Coll, stayed on in New York. He would spend the rest of his childhood days in this cottage, even after his mother remarried. Here he lived with his widowed grandmother, Elizabeth Coll, his uncle son Patrick Coll and his aunt Hannie Coll. As a child, the young Dev worked hard on the family’s small holding of half an acre, going to school first in a school in Bruree founded in 1862, and then to the Christian Brothers’ school in Charleville. The family could not afford a bicycle, and it must have been a tough 11 km walk each morning and evening for the boy. Later, a scholarship gave him a place Blackrock College at the age 16, and he would spend much of the rest of his life in Dublin. I wondered at the weekend why the wording on the plaque at the ‘de Valera cottage’ does not name his mother, his father, his grandmother, his uncle, his aunt, or anyone other family who might have lived there. Indeed, a marriage certificate has never been found for Éamon de Valera’s parents, and throughout his life he was long troubled by its absence and by the absence of any evidence of their wedding – or of his father’s identity. Nor is there any verifiable evidence of the supposed death of his father, Vivion de Valera, in any of the places where his mother said he had died, including Denver and New Mexico. In fact, there is little historical evidence that Juan Vivion de Valero or Vivian de Valera ever existed. 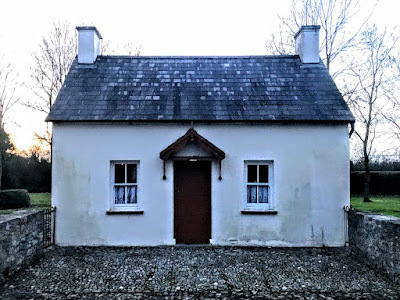 Catherine (Kate) Coll was born 21 December 1856, almost 30 years before the de Valera Cottage was built, so it is stretching history a little to say that this is his ancestral home. She emigrated to the US in 1879, still nine years before the cottage was built, and she first took a job with a wealthy French family in Manhattan. The official story says that in this household in Manhattan she met a young Spanish man, Juan Vivion de Valero or Vivion de Valera, a former sculptor who turned to teaching music after his eye was damaged by a chip of marble. Some accounts said he was born in Spain in 1854; others said he was born in 1853 in Matanzas, Cuba, the son of Juan Manuel de Valera, and had come to the home of her employers to give music lessons to their children. She would say they were married in 1881. According to de Valera’s biographers, Lord Longford Thomas P O’Neill (London: Hutchinson, 1970), the couple were married in Saint Patrick’s Church in Greenville, New Jersey, on 19 September 1881. But parish records show no record of any Coll-de Valera wedding, either at Saint Patrick’s or in any other church, nor is any such marriage recorded in civil records in the area in the period 1875-1887. Her son – George, or Edward – was born the following year. The New York State records contain two de Valera birth certificates. The first, dated 10 November 1882, gives his name as George de Valero. The second is a ‘corrected certificate’ dated 30 June 1910. This second certificate, issued almost 28 years after he was born, now gives his first name as Edward and his surname as de Valera, and so George de Valero became Edward de Valera. Kate would later say that Vivion de Valera was always in poor health, that he left his young family behind and travelled to Denver, Colorado, hoping healthier air would help him, but that he dies a few months later. Once again, however, is no relevant death certificate anywhere in the US. Forced to work full time as a nurse, Kate sent her infant child back to her home in Co Limerick to be cared for by her mother, brother and sister. Indeed, no record survives of Kate Coll’s marriage, there is no independent evidence in Spain or the US that the man she named as her husband ever lived, apart from the birth and baptism certificates that first named the child as George de Valero and his father as Juan Vivian de Valero. With her young son back in Co Limerick, Kate Coll married Charles Wheelwright (1857-1929), an English-born coachman, in Saint Francie Xavier Church, Manhattan, on 7 May 1888. Without any supporting documents, the officiating priest took her at her word that she had been married before and that her first husband had died, leaving her a widow. The church required a dispensation for the marriage, but Charles later became a Roman Catholic. The family moved to Rochester, New York, and they were the parents of a daughter Ann (1889-1897) and a son, Thomas Wheelwright (1890-1946), who was ordained a Redemptorist priest in 1916. Charles Wheelwright died in 1929, and Kate died on 12 June 1932. They are buried in Holy Sepulchre Cemetery in Rochester. Later in life, Éamon de Valera would say that as he child he had occasional visits from a ‘woman in black’ he believed to have been his mother. In later life, Éamon de Valera regularly visited the cottage in Bruree, and in 1972 he opened the de Valera Museum in his former school in Bruree. The Office of Public Works restored his childhood cottage on the outskirts of Bruree in the 1980s. President Mary Robinson officially opened the refurbished de Valera Museum and Bruree Heritage Centre in his former school in 1997. Over the years, Dev asked many people, including his half-brother, his cousin, church authorities in the US and Spain, and the Irish minister in Madrid during the Spanish Civil War, to help him in this search. Proof of the marriage would silence persistent whispers about his legitimacy and prove that his mother had been telling the truth about his parentage. But no such proof was ever found by family members, historians, biographers or genealogists. The questions about Éamon de Valera’s ancestry are no reflection on the man’s honesty, integrity, pariotism or political acumen. His decision to lead his supporters into Dail Eireann in 1927, and the peaceful handover after the 1932 election show his commitment to a democratic transition in the new Irish state; his 1937 Constitution, if read in its time rather than by today standards, is a strong guarantee of democracy with its separation of powers at a time when Fascism was on the march throughout Europe; and his public stand brought an end to the Fethard-on-Sea boycott. It is sad that in the Ireland of his day he felt he had to hide his background because of the prevailing prejudice and judgmentalism. His biographer Tim Pat Coogan speculated that questions surrounding de Valera’s legitimacy may have prevented him from seeking ordination to the priesthood. But did the questions about his father and his parents’ marriage and doubts about his ancestry also cause de Valera to become ‘more Irish than the Irish themselves’? And did the plight of a mother who felt she had to protect her son against what would have been inevitable consequences, cause him to write the articles in the Constitution that the primary place of a woman place was in the home?